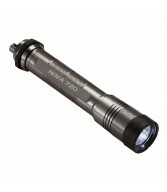 The rechargeable NOVA 720R is more compact than the Nova 720, yet offers the same rugged aluminum construction and high-intensity 720-lumen illumination. Machined from heavy-duty aluminum, it uses simple twist-on/twist off activation backed by double-O-ring seals. Strategically placed knurling improves grip and makes the twist activation that much easier. The light offers a 50% mode to increase burn time if you don’t need full power. It is also equipped with an overpressure valve on the end cap, an important safety feature not normally found on lights in this price range. For divers who want a durable light they can stow in a BC pocket, offers maximum light intensity and recharges quickly, the Nova 720R is an excellent choice. 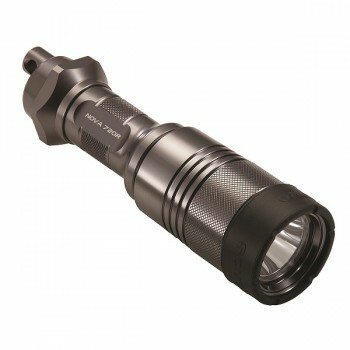 Powered by a single 18650 Lithium-ion rechargeable battery (not included) that provides up to 2.5 hours of burn time. Please note you need to buy battery and charger separte. We can supply for an additional £20.